Half of the world’s press descended on the OPEC HQ, in Vienna, Austria, half expecting that not much will transpire here. 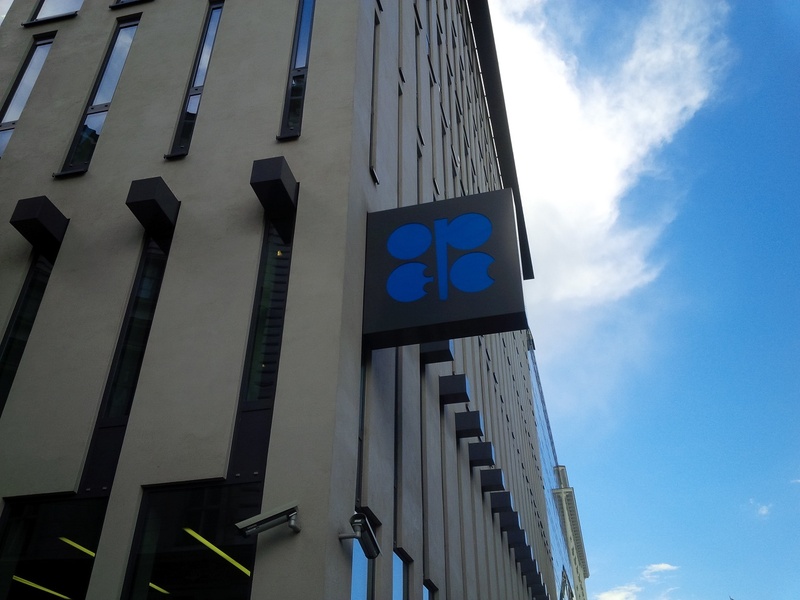 And well, that is exactly what happened when proceedings ended on 2 June – except that there were certain key developments before, after and during the 169th OPEC ministers’ meeting, some subtle and some not so subtle! Let’s start with the subtle – for the first time in three years, a Saudi prince accompanied his country’s delegation to OPEC flanked by a new oil minister in the shape of Khalid Al-Falih. The Saudi delegation largely kept mum as far as the press goes in the lead up to the conference, but the prince himself took time to hold and address an off-record briefing with oil market analysts away from the prying eyes of the media. Off-record means what it says on the tin dear readers, as the Saudis wanted the press out of it. So the Oilholic has to respect that; even though one got a 100% lowdown via third parties! Yours truly can however share some nuggets minus specifics. The Saudi delegation, a veritable who’s who of the country’s energy industry, made the slickest presentation in recent memory and in the Oilholic’s opinion perhaps the most data heavy one too. 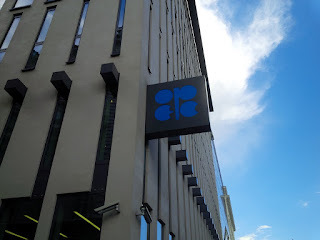 It sounded like Saudi Arabia was making a concerted effort to tell the wider world it meant business when it comes to the diversification of its economy, but make no mistake - the briefing on the eve of the 169th OPEC conference was about something else entirely. The proverbial kings – as they are of the oil and gas world – appeared to be preparing for a game of chess. As the Oilholic and selected colleagues yours truly has known for years read it – ‘wethinks’ the Kingdom has thrown the production stakes gauntlet back to Iran, which has been asserting its right to pump as much oil as it likes in a post sanctions-era. The Islamic Republic has made no secret of its desire to bump up production to 4 million barrels per day (bpd) within a year. Never say ‘never’, but the Oilholic has made no secret of his conjecture either that the chances of that happening given infrastructural impediments, above anything else, are slim to negligible. One suspects experts advising the Saudis know just as much. So the Saudis reckon they may as well throw the gauntlet back to Iran. “You want to pump 4 million bpd let’s see you do it, and if you do well and good – our ‘crude’ client base is intact we’ll pump what we want to.” Now you might think that suggests OPEC stays where it is, but not quite. That’s because the Saudis (and by extension other Gulf exporters) would potentially use this as the basis of future OPEC dialogue, whether or not Iran gets to that level. Moving on from the subtle off-record stuff to the not-so-subtle on-record buzz on summit day, an ancillary thought was whether or not OPEC will appoint a new Secretary General to replace the long standing Abdalla Salem El-Badri, who has been officiating in an “acting capacity” since 2013. Internal discord, and tension between the Iranians and the Saudis meant the oil producers’ collective, while even agreeing to readmit a net importer in the shape of Indonesia, could not get itself to agree on a compromise candidate for the post. And so El-Badri went on and on, and well on and on. However, finally Mohammed Sanusi Barkindo, from Nigeria, was named as Secretary General with effect from 1st August 2016, for a period of three years, bringing to a close a near decade-long term of his predecessor. Additionally, Gabon was readmitted to OPEC after having left in 2014. So all-in-all, it was not a mundane affair at all, with some sense of solidarity within what is soon to become a 14 member oil producing block. Perhaps a little solidarity is all what the market was seeking from OPEC at a time of low expectations. That’s all from the 169th OPEC ministers’ meeting folks! Keep reading, keep it crude! © Gaurav Sharma 2016. Photo: Exterior of OPEC Secretariat in Vienna, Austria © Gaurav Sharma.